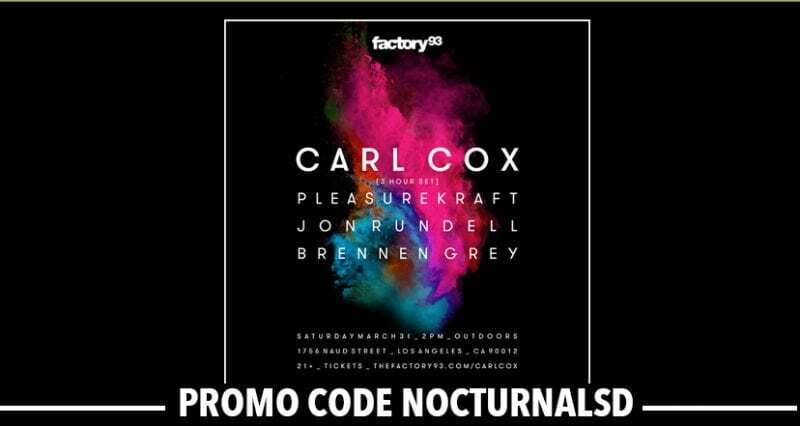 Click here for tickets to Factory 93 Carl Cox Tickets. Carl Cox Performance 2018 This will Be Carl Cox only performance in 2018 so don’t miss it! Get your tickets before they sell out. Factory 93 Carl Cox 2018 Lineup . Performing with Carl Cox will be Pleasurekraft, Jon Rundell, and Brennen Grey. Factory 93 Ticket Deals will be released. Get your tickets before they sell out on Carl Cox, tickets will sell out soon as this will be his only performance this year.